1) What are the benefits of becoming an FLTA member? 2) How do I become a member of FLTA? 3) Are there any costs to becoming an FLTA member? 4) What is TIFPAC and why should I say YES? 5) I'm a Branch of a Company who's a member of FLTA. Will I be charged to be a member? 6) Why can’t I be an Associate Member and pay $325? 7) How do I access the Members Only tab? 8) How do I sign up for the Member Webinars? 9) I’m a member. Why am I being charged for the webinar? 10) Why can’t everyone in our company use one email address to join FLTA? 11) My Company is a member. Why can’t I get to the members only page? 12) How do I contact FLTA? 13) Who are the FLTA Board Members? 14) What’s the difference between FLTA and ALTA? 15) Can I download an FLTA logo for my website? 16) What is the address for FLTA? 17) What are the FLTA Code of Ethics? 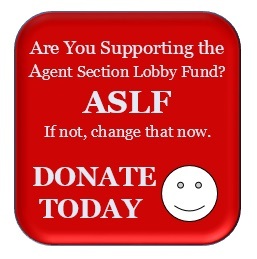 18) How can I donate to the Agent Section Lobby Fund (ASLF)? Answer: Please to see the benefits of joining FLTA. If any of the info is incorrect, select BACK to go back and fix any fields that you want to change. If the info is correct, select CONFIRM AND PROCEED WITH PAYMENT to complete the process. NOTE: IF YOU ARE A LICENSED TITLE AGENT AND HAVE RECEIVED FLTA INVITATIONS TO WEBINARS, YOU MAY ALREADY BE IN OUR DATA BASE AS A CONTACT. WHEN USING THE STEPS ABOVE IF THE SYSTEM TELLS YOU: “EMAIL ALREADY IN USE” CONTACT jena@flta.org FOR ASSISTANCE IN CONVERTING YOUR CONTACT INFO TO AN FLTA MEMBERSHIP. Full voting Agency/Law Firm membership in FLTA for $500 per year. Associate membership is available to vendors to our industry and governmental agencies whose activities include land title matters. It is a non-voting membership for $325 per year. NO LAW FIRMS or TITLE AGENCIES. Each branch office is charged $100 annually per additional office listed. TIFPAC stands for Title Insurance of Florida Political Action Committee. The funds which members choose to contribute to this account are used by FLTA to educate legislators about issues and legislation which affect the title industry. TIFPAC funds help establish FLTA as a meaningful political force in Florida by allowing FLTA to support those who support the title industry. Saying “YES” on the member application allows FLTA to transfer a portion of the membership funds to this special account. To be taken seriously in Tallahassee (like the Realtors and Home Builders), FLTA’s participation in the political arena is necessary. Without TIFPAC funds, we are limited in our potential success, so encouraging agents to say YES to this option is just as important as convincing them to be an FLTA member. 5) I'm a Branch of a Company that is a member of FLTA. Will I be charged to become a member? Answer: Yes, a Branch Office pays an annual fee of $100. Once this fee is paid, the employees of your branch may then join at no extra charge by using the “an employee of a member” option in the “Join FLTA” section of our site. Answer: Associate membership is available to vendors to our industry and governmental agencies whose activities include land title matters. It is a non-voting membership. NO LAW FIRMS or TITLE AGENCIES. If your company is regularly and primarily engaged in the commercial enterprise of preparing and certifying abstracts of title and/or searches for title insurance, conducting real estate closings, or in writing title insurance as a Title Insurance Agent in the State of Florida either duly licensed as a Title Insurance Agent by and in good standing with the Florida Department of Financial Services or appointed to a title insurer and exempt from licensure under Section 626.8417, Florida Statutes, or an attorney licensed by and in good standing with The Florida Bar, then you must apply for Regular Membership in this Association, and are not eligible for the Associate member category. Answer: You MUST be a member to access the “Members Only” webpages. If you are a member, login using your email address and password to access the “Members Only” tab. Answer: If you are a member you will need to login to your profile and click on “Members Only – Webinar registration” tab. That will take you to the link to sign up for the webinars at no charge. If you are NOT a member you would need to click on the link in “Upcoming Events” and pay the NON-member fees to attend the class. 9) I’m a member, why am I being charged for the webinar? Answer: Webinars are FREE to members. If you are being asked for a payment then you are using the wrong link. You should log into the FLTA website and click on “Members Only – Webinar registration”. This will take you to the link to sign up for the webinar AT NO CHARGE!! Answer: The email you use for the FLTA website is specific to YOUR profile. The information contained in the profile identifies YOU. The more information about YOU that you include in your profile will help us make sure you are invited to events in your area (the reason we ask you for your County), to CE related webinars, (the reason we ask for your DFS license # or if you are a member of the Florida Bar,) and to make sure you have the most up to date bulletins regarding title matters in Florida. 11) My Company is a member why can’t I get to the members only page? Answer: You must be in our data base as “an employee of a member” to access Members ONLY materials. Once your company becomes a member you should then go to “Join FLTA” and join as an employee of your company. There is no additional charge for members of the company that are located in the same office as the Primary Contact (Bundle Administrator) for your company. Once your profile is created you will be linked to the Primary Contact of your company and you will then have access to all the Members Only sections of our site. If your company has branch offices, there is an annual fee for each branch to be listed in our data base of $100 per year. You may also leave a message at (850) 681-6422. Messages are checked daily, BUT email is a FASTER way to reach us. Answer: To see the FLTA Board Members click HERE. FLTA is the FLORIDA Association for the title industry. We monitor and participate in topics and issues that would impact the title industry in Florida. ALTA is the National Association for the title industry. The forms you use to issue title policies come from the National Association. Membership for each association is separate.